Make no mistake, this is playing of the highest order of mastery. Indeed, I am not sure that Pollini’s account of the Hammerklavier is not the most impressive currently before the public, though the instant such thoughts are penned, the noble performances of Eschenbach, Arrau, Brendel and Ashkenazy spring to mind. Yet not even beside such giants as these as well as Solomon, Kempff and perhaps even Schnabel does Pollini’s achievement pale. Few works of music stimulate active and stressful thinking - anxious thought complementing the music's search for resolvable sounds - than the Hammerklavier. Nor is it a work which is easily mastered physically. (Pollini, on DG, strikes me as being too obviously masterful; Brendel, on Philips, less so.) Of all pianists, Schnabel (on his 1935 HMV recording) perhaps comes closest to conveying a reckless, all-or-nothing mood, allied to a terrier-like grasp of argument and a sure instinct for the work's persistent striving for release into uninhibited song. Yet there are scrambles and mistakes in his performance which were avoided, with minimal loss to the music's headlong impetus, in the famous 1956 Solomon recording, whose absence from the catalogue is much to be regretted. Like Solomon, Gilels gives us an outstanding reading of the vast slow movement. The tempo is spacious, apt to Gilels's mastery of the music's anisometric lines and huge paragraphs, paragraphs as big as an East Anglian sky. Few pianists since Solomon have come near to matching Gilels's ability to touch off the rapt, disburdened beauty of these lofty Beethovenian cantilenas. The search for lyric release is something which Gilels seems particularly to stress. The arrival – introit, rathe r- of the finale's D major subject, Tovey's "Still, Small Voice" after the Fire, is here a moment that is specially cherishable, the more so as the fugue and the subsequent aggressive peroration are played by Gilels with a directness and lucidity which contrasts interestingly with his sophisticated and equivocal treatment of the opening Allegro movement. There, we have a sense of impetus and attack (Gilels's sheer pianistic command compensating for a tempo 42 minims a minute below Beethoven's startling and plausible minim = 138) though when we reach the gracious second subject in G, rhythmic motion is not so much suspended as upstaged by the first intimations of the music's surprising capacity for feminine songfulness. The Scherzo, as befits its character, is also equivocal; the playing of the Trio and the dance's quietly elaborated reprise is a rare treat for the ear, though the tempo seems slow for so obviously ironic a piece. It takes a major pianist standing outside the Viennese tradition to see the volatile and ageing Beethoven subsuming gamesome Classical ironies in Romantic pathos and a feeling of personal travail. There is, though, nothing effete about the totality of Gilels's reading. Formidably in command of the music, he neither subjects the notes to his virtuosic will, nor demeans his own technique by mimetic attempts at audible disorder. Disturbingly aware, in the first movement, of what he suggests are unstable fancies informing the work's manic oscillations, Gilels proceeds to achieve a troubled coherence in the brilliantly executed coda of the finale where his extraordinary technique allows the music's evident ferocity to be tempered by Orphic assurance. It is, in fine, an absorbing and ambiguous reading. At times it is a model of lucidity, arguments and textures appearing as the mechanism of a fine Swiss watch must do to a craftsman's glass; yet the reading is also full of subversive beauty, the finely elucidated tonal shifts confirming Charles Rosen's assertion that Beethoven's art, for all its turbulence, is here as sensuous as a Schubert song. Solomon’s 1952 recording of the Hammerklavier Sonata is one of the greatest of the century. At the heart of his performance there’s as calm and searching an account of the slow movement as you’re ever likely to hear. And the outer movements are also wonderfully well done. Music that’s so easy to muddle and arrest is here fierily played; Solomon at his lucid, quick-witted best. The CD transfer is astonishing. It’s as though previously we have merely been eavesdropping on the performance; now, decades later, we’re finally in the presence of the thing itself. It’s all profoundly moving. What’s more, EMI has retained the juxtaposition of the 1969 LP reissue: Solomon’s glorious account of the A major Sonata, No 28 as the Hammerklavier’s proud harbinger. We must be grateful that Solomon had completed his recording of these six late sonatas before his career was abruptly ended by a stroke in the latter part of 1956. The Sonatas Nos 27 and 31, were recorded in August 1956. In retrospect the warning signs were already there; yet listening to these edited tapes you’d hardly know anything was amiss. There’s the odd fumble in the Scherzo of No 31; but, if anything, the playing has even greater resolve, both in No 31 and in a songful (but never sentimental) account of No 27. The recordings of Nos 30 and 32 date from 1951. Sonata No 30, is very fine; No 32 is, by Solomon’s standards, a shade wooden in places, both as a performance and as a recording. Still, this is a wonderful set, and very much a collectors’ item. Wilhelm von Lenz described the Diabelli Variations as “a satire on their theme”. It’s an apt summation, for what could be more remarkable than something as inherently mediocre as Diabelli’s theme giving voice to one of the greatest – some would argue the greatest – work ever written for solo piano? The 26-year-old Erfurt-born baritone Stephan Genz is in the first bloom of his youthful prime. His Schumann Liederkreis, Op 24 (5/98) was the first recording to give serious warning of the distinctive lyric ardour and keen intelligence of his artistry; and now Beethoven’s setting of Goethe’s ‘Mailied’ (Op 52 No 4), with its lightly breathed, springing words, could have been written with Genz in mind. This is a remarkable account of Beethoven’s Missa solemnis and, in one important respect, an unusual one. For though it is in no sense lacking in drama, it is in essence a deeply devotional reading. And aptly so. 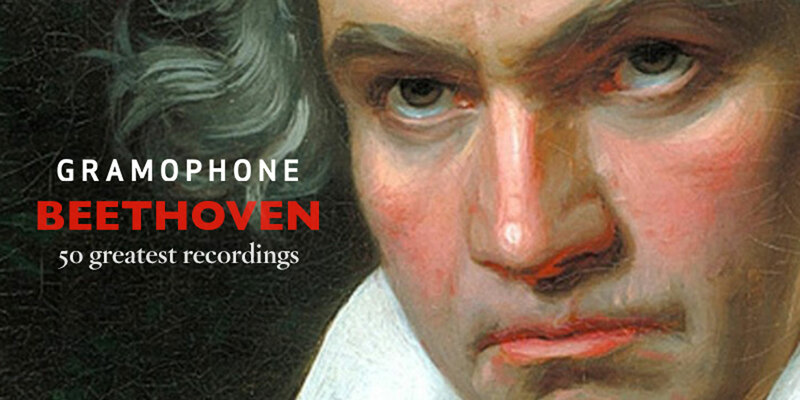 ‘Mit Andacht’ – ‘with devotion’ – Beethoven writes time and again during the course of the work. As month follows month and more and more live performances appear, our perspective on the purpose of recordings seem to be changing. In December we had Maria Callas’s 1952 Covent Garden Norma superseding her studio efforts; and here is the first night of Otto Klemperer’s legendary 1961 Fidelio, also from the Royal Opera House, to challenge his noted studio set from a year later. This confirms the Achilles’ heel of Walter Legge, EMI’s leading mogul at the time, in his unwillingness to record live occasions, probably because he liked to have every aspect of a recording under his control. In this case there is more to it than that. Klemperer wanted, in the studio, to retain his Covent Garden cast; Legge preferred to make changes with two exceptions (Jon Vickers and Gottlob Frick). On the evidence of this magnificent issue, Klemperer was right. Not only are the singers, by and large, better equipped for their roles, but given the electricity of the occasion the conductor’s interpretation is more vital (often faster tempi) and even more eloquent.